Milestone Capital manages the Milestone China Opportunities Fund I, L.P., the Milestone China Opportunities Fund II, L.P., the Milestone China Opportunities Fund III, L.P. (the “Funds”), as well as the Milestone Kunshan Investment Fund, L.P. (the “RMB Fund”) which invest primarily in established high-growth companies seeking expansion or acquisition capital in China. The Funds seek to maximize medium to long term capital appreciation by making direct investments to acquire minority or majority equity stakes in those companies identified by Milestone’s investment team. The Funds’ investment size typically ranges between US$ 10 million to US$ 100 million. 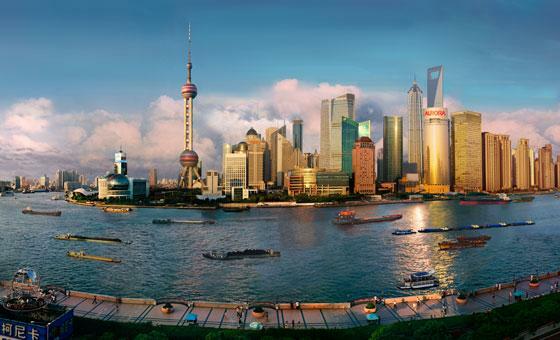 The RMB Fund’s investment size ranges between RMB 20 million to RMB 80 million. The Funds invest in a limited number of portfolio companies where the Milestone Capital team can dedicate significant resources to each portfolio company. Milestone Capital’s success formula is predicated on proprietary deal flows, professional due diligence, disciplined investment approach, creative structuring and proactive monitoring with a focus on value creation. Milestone Capital usually requires board representation and stringent shareholder protection commensurate with its shareholding. Milestone Capital has a strong track record in helping portfolio companies list on either domestic or foreign stock exchanges. We leverage our extensive network of advisors, industry executives, portfolio companies as well as business relationships to bring superior value-added support to our portfolio companies from both financial and strategic angles. To date, eight of our portfolio companies have listed on major overseas stock exchanges. In July 2005, Focus Media Holdings Limited (“Focus Media”, Ticker: FMCN), listed on the NASDAQ; in December 2006, Trina Solar Limited (“Trina”, Ticker: TSL) listed on the New York Stock Exchange; in December 2007, VisionChina Media Inc. (“VisionChina”, Ticker: VISN) listed on the NASDAQ, in July 2009, GCL Silicon Technology Holdings Inc. (“GCL Silicon”) was acquired by a listed company GCL-Poly Energy Holdings Limited (Ticker: 3800.HK), in April 2010, Dehaier Medical Systems Limited (“Dehaier”) successfully listed on the NASDAQ (Ticker: DHRM), in July 2012, Xiao Nan Guo Restaurants Holdings Limited (“Xiao Nan Guo”, Ticker: 3666.HK) listed on the Hong Kong Stock Exchange (“HKSE”); in September 2013, Tenwow International Holding Limited (“Tenwow”, Ticker: 1219.HK) listed on the HKSE; in October 2013, Cabbeen Fashion Limited (“Cabbeen”, Ticker: 2030.HK) listed on the HKSE.